Yud-Tes Kislev 5777 marked the one year anniversary since the printing of the first pages of Sefer Tanya at Lubavitch Educational Center. Since that very auspicious event, which added another location—Miami Gardens, Florida—to the thousands of places around the world where Tanyas have been printed, much work went into designing and creating the LEC edition of the fundamental sefer of Chabad-Chassidus. The project’s initial impetus and inspiration came from elementary school teacher Devorah Leah Korf. 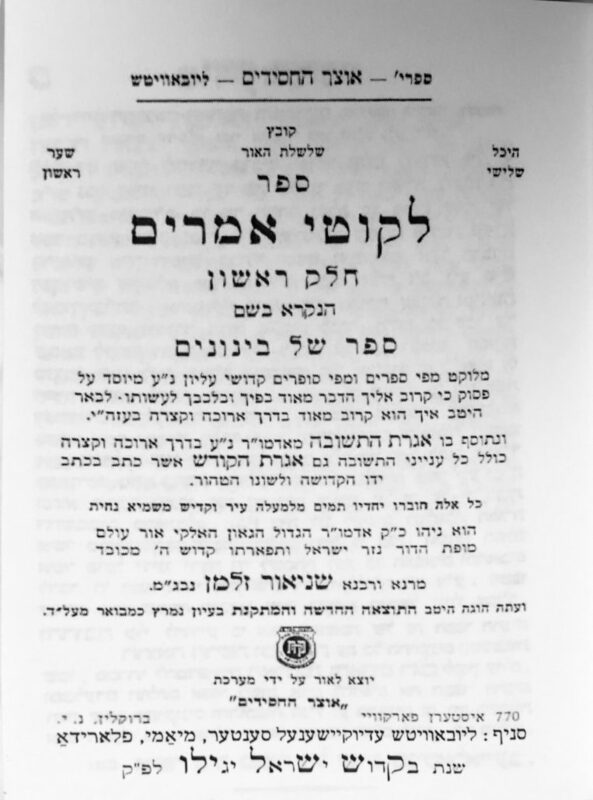 Her commitment to the importance of the Tanya printing was passed on to Rabbi Yakov Garfinkel, 4th grade teacher and director of school programs. It was under his supervision and hard work the project took hold. Rabbi Garfinkel contacted professional graphic designer Meir Kahanov to create the beautiful cover, and, through him, arrangements were made with an Israeli company to do the printing. LEC is also deeply grateful to Amir Ben-Ishay of World Trade Office Solutions for his generosity in providing the paper and ink for the printing. 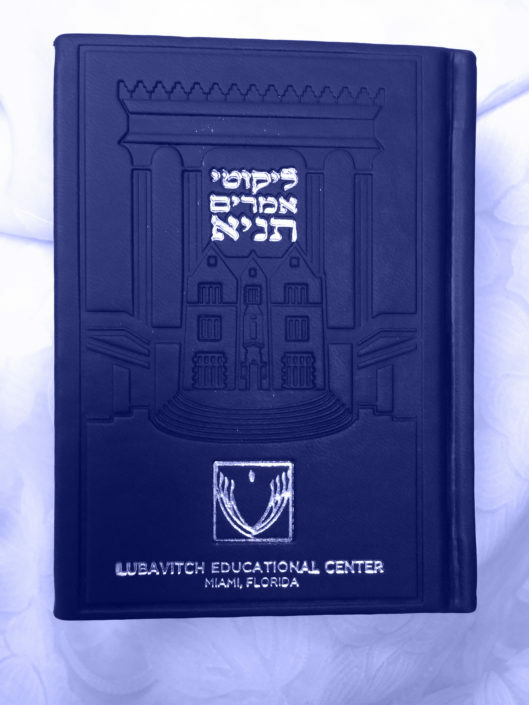 The final results show a unique blue image of Lubavitch headquarters superimposed on the Beis HaMikdosh on the cover and bookend, with the Lubavitch Educational Center logo embossed on both parts. Inside the beginning of the sefer, the sha’ar blat—the “gate page”—describes what Tanya is based on, as well the year and location of the printing. 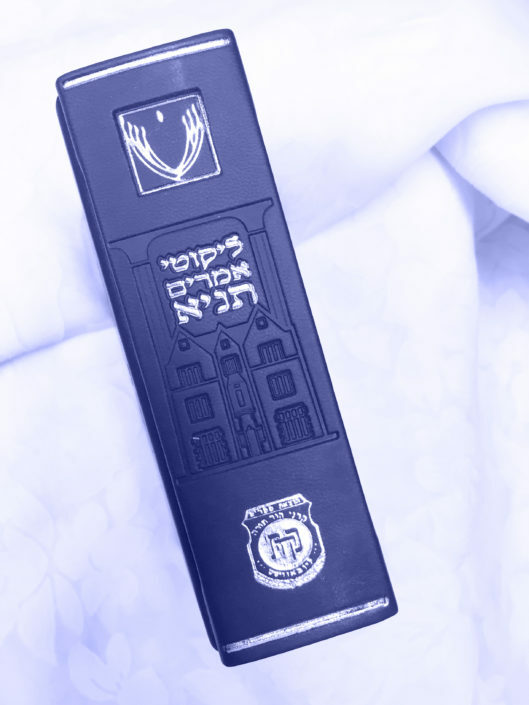 At this year’s special school program for Yud-Tes Kislev, every elementary student was presented with their own personal copy of Sefer Tanya as part of the school’s enrichment program. It will be a special addition to their bayis molay seforim—”[room] filled with Jewish books,” and the special merit they had in the sefer’s printing.